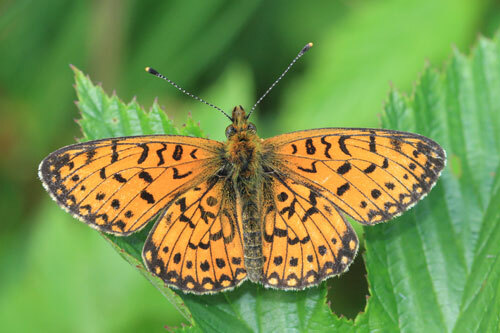 Declining in parts of its range, for example the UK, and local in many other places. 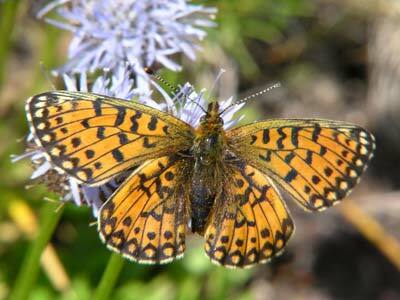 It is usually fairly common where it occurs. 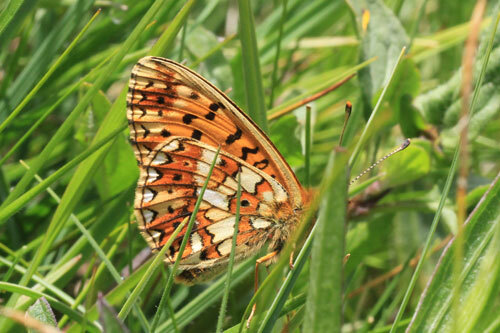 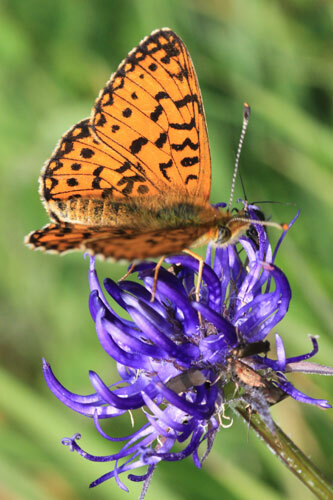 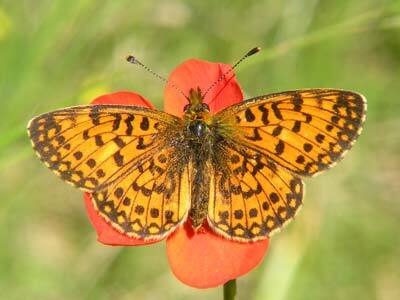 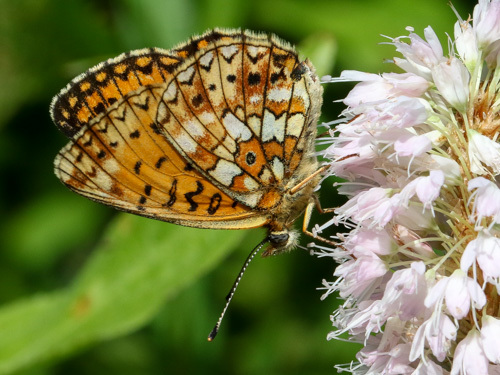 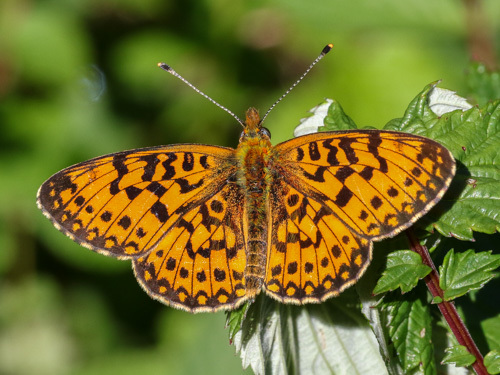 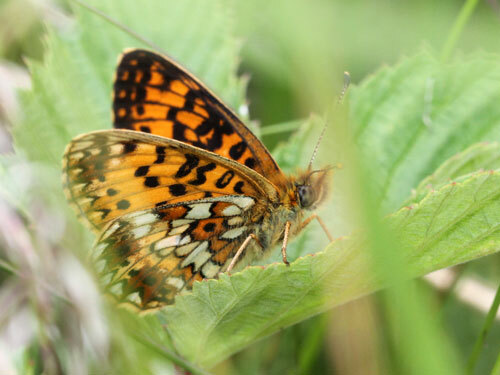 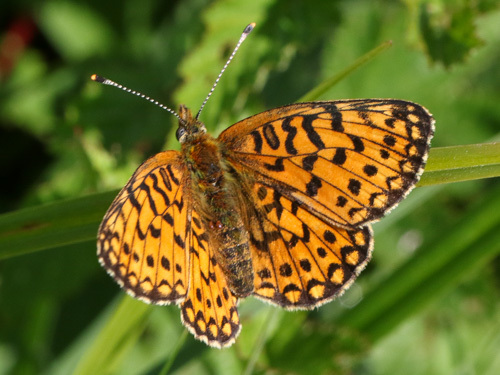 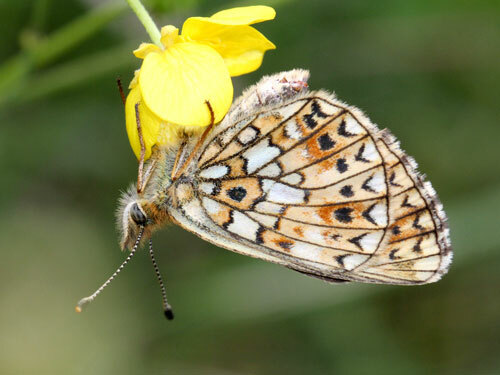 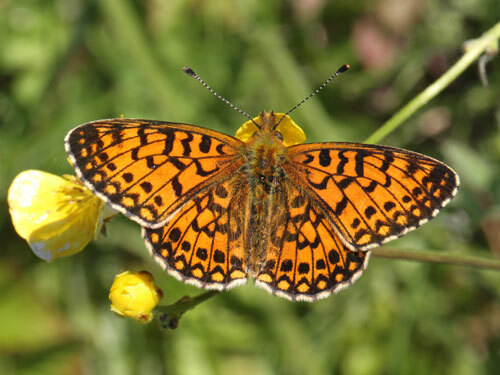 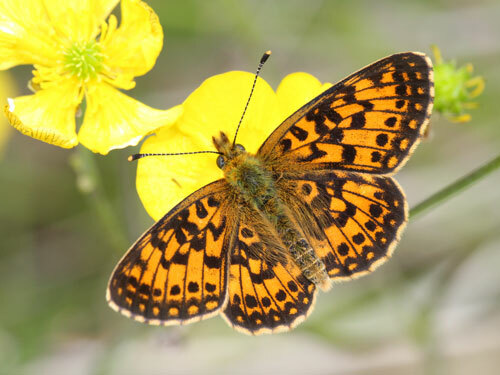 Identification & Similar species: Similar to the pearl bordered fritillary, C. euphrosyne. 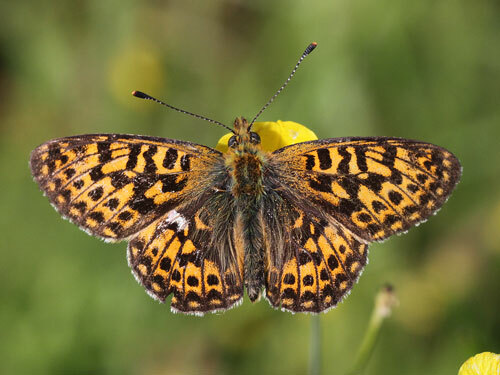 That species has a row of post discal spots on the upperside hindwing equidistant between the submarginal markings and the discal markings compared to the current species in which the row is closer to the margin. 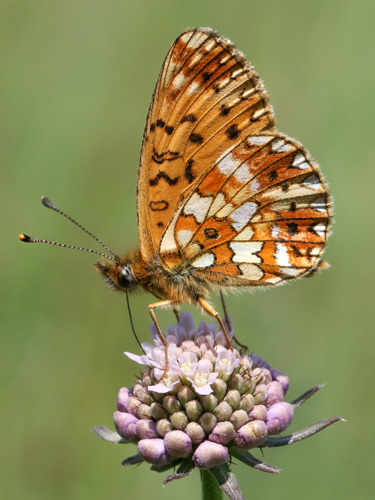 The underside has a row of bold black spots in the post discal area vs pale spots in the that species. 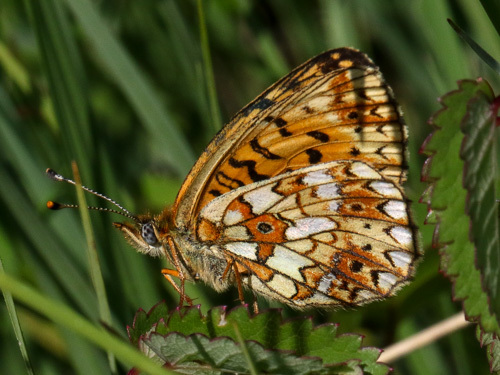 Usually the underside hindwing has a band of bright white patches. 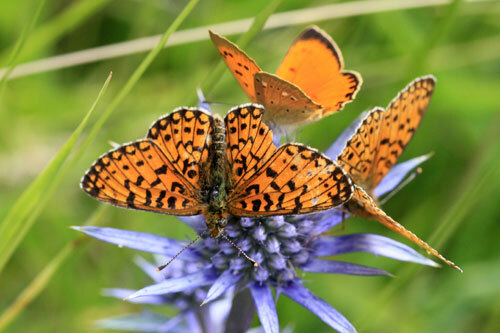 Distribution & Flight: Northern Spain and across central and northern Europe. 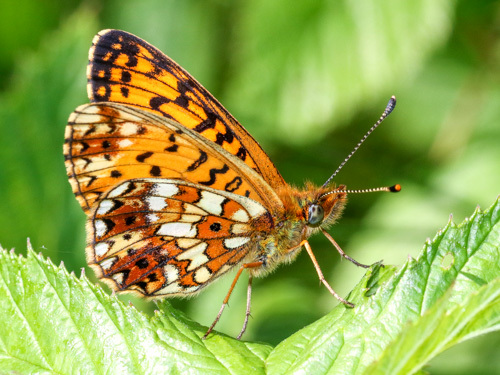 Absent from large parts of the UK. 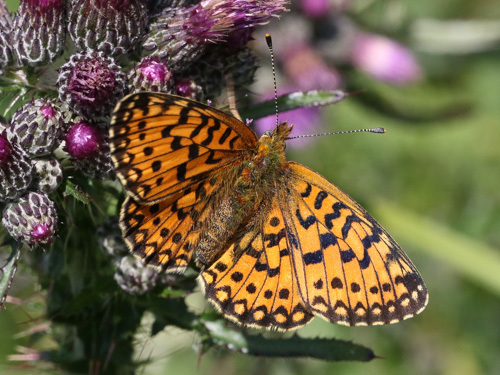 Single brooded in May/ June, and a second brood in the south in July/ September. 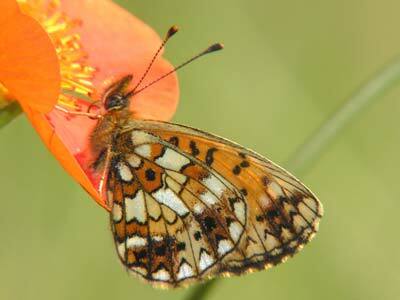 Habitat & Behaviour: Meadows, bogs and other often damp locations. 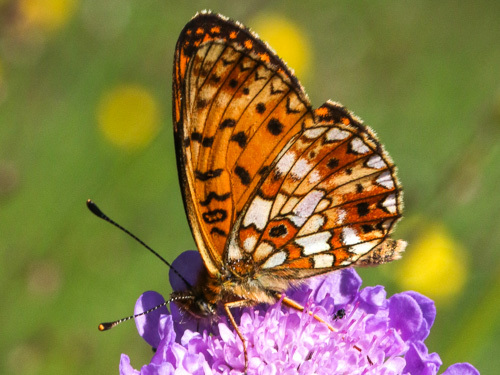 Variation: Butterflies from Scandinavia are very boldly marked and rather small. 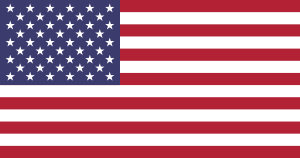 The form hela.